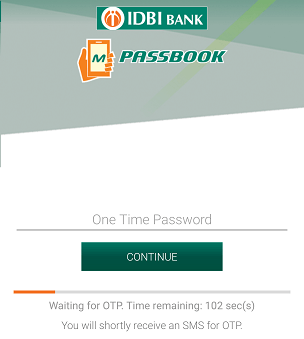 IDBI Bank offers digital passbook application – IDBI mPassbook facility for all customers to check account details and transactions history. The customer just needs to install mPassbook application on his/her phone to view transactions history. IDBI Bank is a public-sector Bank owned by Government of India. You can open saving account here with 5000 initial deposit with all banking products. To check account transactions details (credit/debit) you need to visit Bank to print passbook. But mPassbook facility allows you to view account transactions details on your phone without visiting branch. View stored account transactions both in online and offline mode. Save transaction history as a PDF file. Supports Bi-lingual language (Hindi/ English). 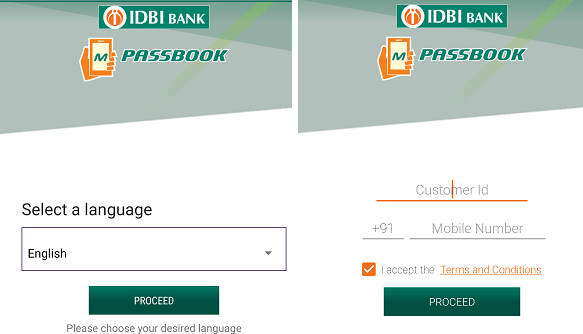 See how to access IDBI mPassbook facility on your phone. 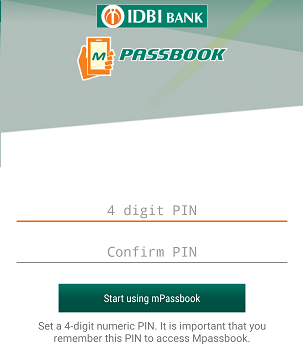 IDBI mPassbook application currently available for the Android platform. To start this facility, install this application on your phone and register your account. You can view the transactions of all your accounts, both in online as well as offline mode (Without Internet). Step 1: Install IDBI mPassbook on your phone. Step 3: You will receive One Time Password on your mobile number, enter OTP and proceed. Step 4: Now set 4-digit login pin. That’s it now you can log in to mpassbook application using login pin. After login, you can view last 90-days account transactions activity and balance. You can also download transactions history on your phone. IDBI customers can also register for net banking and mobile banking facility to view account activity in full detail. Both services are free and activated online without Bank visit. 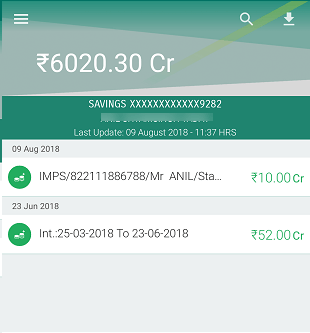 So no need to visit Bank every month to update physical passbook, just install IDBI mPassbook on your phone and view account activity instantly online or offline.